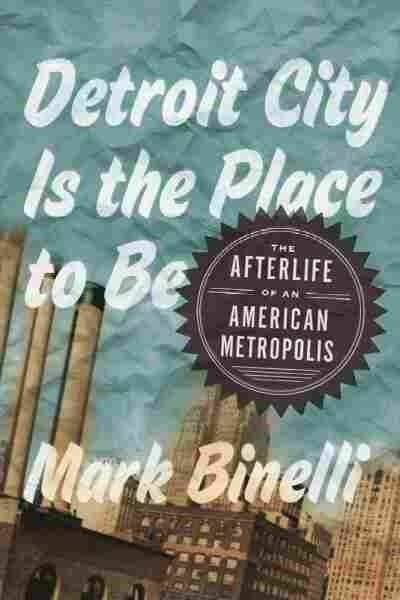 Interview: Mark Binelli, Author Of 'Detroit City Is The Place To Be' | Author Mark Binelli knows it isn't all great, but he still claims Detroit City Is the Place to Be. 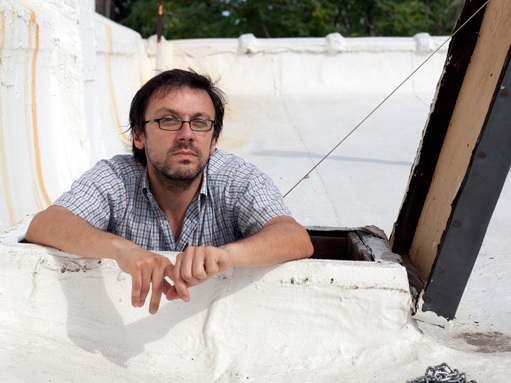 His book takes readers from decay to possibility in a new look at a city we thought we already knew so much about. The Detroit skyline as seen from Belle Isle. Mark Binelli is the author of the novel Sacco and Vanzetti Must Die! and a contributing editor at Rolling Stone and Men's Journal. Author Mark Binelli grew up in a Detroit suburb in the 1970s. The Detroit he knew was a study in decline. The city used to embody the American dream: the auto industry, consumer culture and Motown. When he was offered a magazine assignment to write about the Detroit auto show in January 2009, Binelli tells weekends on All Things Considered host Jacki Lyden, he jumped on it. But Binelli didn't stop there. He moved back to his hometown to chronicle the city. He put it all into a book called Detroit City Is the Place to Be: The Afterlife of an American Metropolis. 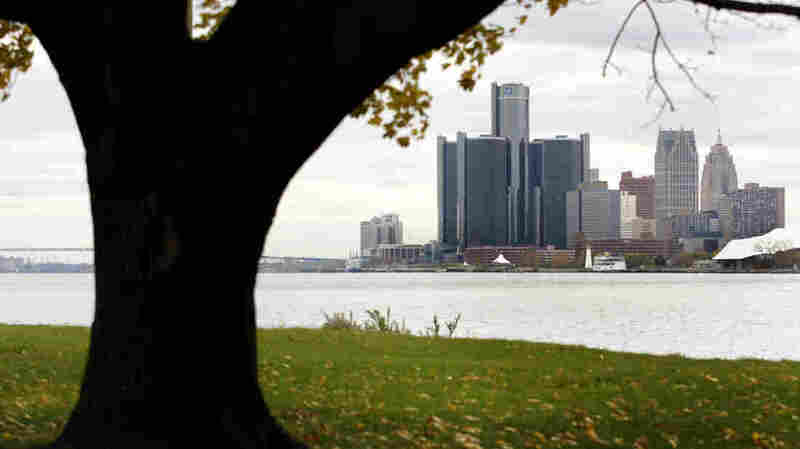 "When I got there, I realized Detroit had become this poster city for the recession. I mean, reporters were coming [from all over the] country, all over the world, really, to look at the place, and I felt like, as someone who'd grown up there, I could really bring a little bit more nuance to the story, and not tell the same stories that are being told over and over — and that includes things like humor. I mean, Detroit is a very surreal, weird place, and I thought a lot of that was being missed by reporters who were just coming in for an afternoon or a day or two." "It's a huge swath of land — 190 acres — that had been a residential neighborhood once upon a time. It was razed by the city, and was supposed to become an industrial park. The idea was lots of factories would move in, and nothing happened. So, it's hard to really convey what it is like. You're basically five minutes from downtown of a major American city, but you are standing in these fields, that, I mean you could be in rural Arkansas, and you can still see traces of the old neighborhood. The sidewalks are so overgrown, they are almost invisible, but if you look carefully you can see the sidewalks ... You will notice a glimpse of red, and it turns out to be an old fire hydrant that is covered with grass that is 3 feet high. It's a surreal place." "One of the problems with Detroit is, you know, it was a city that at its peak, population was 2 million. Now with this last census, in 2010, it's down to just over 700,000, so you have all this vacant land, all of these abandoned buildings, what do you do with it? I mean, one of the more intriguing things that's been talked about, not much progress has been made so far, has been this sort of right-sizing initiative. That's the euphemistic term they have been using. Basically the idea is to convince people, incentivize people somehow, to move to denser urban cores, so then you would have the vacant land concentrated, and you could turn that into parks, possibility into farms. Detroit Snob? Of Course I Am. "The urban farming has been really big in Detroit and has been getting a lot of press. You look at some of these renderings that people make of potential Detroit, in say, 2030, and it's astounding. The big problem, of course, is that there is no money." "Highland Park, I call it in the book 'the Detroit of Detroit' — I mean, it's this little tiny community entirely surrounded by Detroit. Once upon a time the original Model T plant was housed there, so it was the center of the world. I mean everybody was coming to Highland Park to look at this wondrous assembly line. Ford left, Chrysler's world headquarters left for the suburbs, so now it is a very abandoned city, and the firefighters, their last remaining firehouse was condemned, so they moved into an old Chrysler warehouse while the new firehouse was ostensibly being built. "That was five or six years ago. Some of them are literally sleeping in tents. They are working with so few walkie-talkies that they have come up with a system of hand signals when they are at a fire so they can communicate with each other. The trucks break down. It's astounding circumstances they work under. It's also somewhat inspirational because they still go to work every day, and they are still doing this job, and you have to look at them with awe and admiration." "You read some of these old guidebooks and Detroit was called 'The City of Tomorrow.' ... When business was booming, when the Model T plant was really at its peak, Detroit was the city, it was the city everyone was looking toward. It's one of the great stories of the 20th century, I mean, this wilderness city, basically, rising up out of nowhere, creating modern life in the 20th century as we know it in many ways: mass production, consumer culture, suburban sprawl, [and] in many ways, the American middle class. And then the fall from such great heights. "It's classical tragedy in lots of ways. In this case, the character is the city. You see the seeds of the character's destruction. You see those tragic flaws early on, and it's completely undone, and now we are at the third act, and we will see what happens."